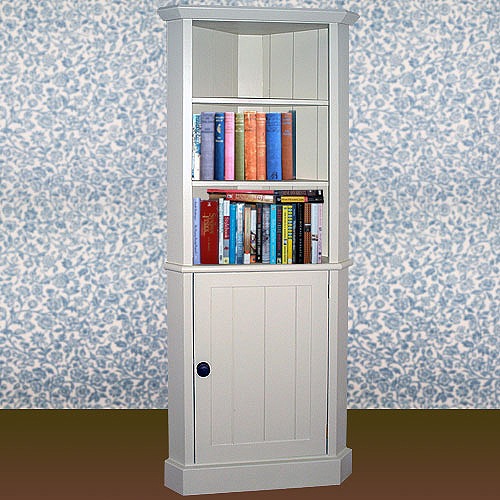 Description: Lovely corner bookcase / kitchen dresser. Cupboard area to the bottom half with internal shelf and open shelved storage at the top. 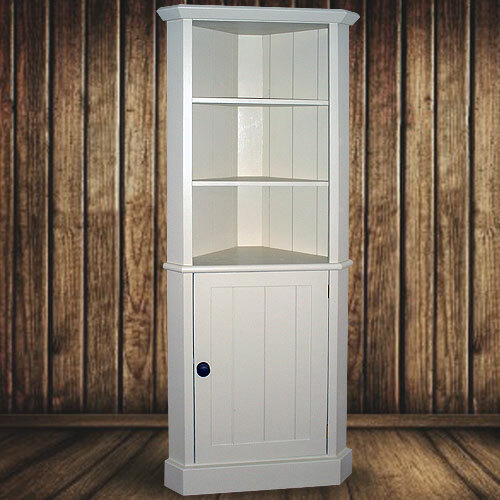 Great for displaying cook books and kitchen crockery. Feature cornice and wooden knob as standard. Colour shown: Farrow and Ball, Tallow. (Painted externally only on bottom half).